Massachusetts General Hospital researchers have found that extracellular RNA in urine may be a source of biomarkers for the two most common forms of muscular dystrophy, noninvasively providing information about whether therapeutic drugs are having the desired effects on a molecular level. 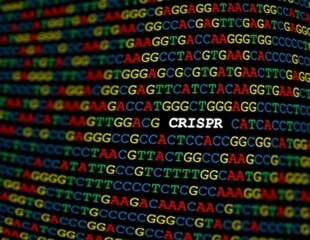 In a new study in cells, University of Illinois researchers have adapted CRISPR gene-editing technology to cause the cell's internal machinery to skip over a small portion of a gene when transcribing it into a template for protein building. A small molecule of a drug has been successfully used to treat an inherited form of hearing loss in laboratory mice. Newest results were showcased at the International Myology School in Moscow on 16th - 19th May 2018. KFU was represented by Junior Research Associate Mikhail Mavlikeev. Diagnostic and treatment advances are helping patients with Duchenne muscular dystrophy-;one of nine major types of muscular dystrophy that affects males-;live into their 30s and beyond, raising challenges in such areas as education, vocation, levels of independence, personal relationships, emotional health, and intimacy. Human sperm may hold the potential to serve as biomarkers of the future health of newborn infants, according to a new study by a Wayne State University School of Medicine research team. There are many ways a gene can be altered and there are many genes that, when altered, can cause cancer. Testing individually for each possible alteration in every cancer-related gene is not feasible as it would require hundreds of individual tests and many, many thousands of dollars. Researchers have found a mutation in the gene for the growth hormone receptor that promotes longevity, increasing men's lifespan by an average of 10 years.